TANANA — Iditarod mushers always pack certain items in their sleds — things they and their dogs need to survive. There's a pot to boil water, kibble, matches, dog booties, snacks, a sleeping bag and more. But some mushers are also traveling this year with sentimental items to give to someone along the trail, scatter in the wilderness or just bring along for the ride. 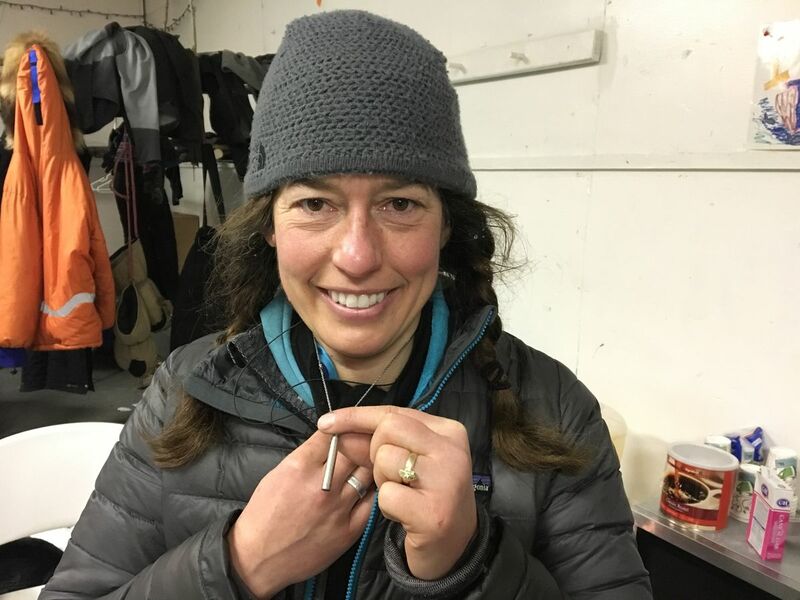 Kristin Bacon wears a delicate necklace; its charm holds ashes of Cyndy Fritts, a long-time Iditarod volunteer and organizer at the Skwentna checkpoint who died last year. She said she plans to scatter some of Fritts' ashes on the trail, at the request of the woman's family. Bacon also carries an urn with ashes of one of her lead dogs, Eewa, who had a cancerous tumor and died in December. "The plan is to take him to Nome again," said Bacon, who has a kennel in Big Lake. 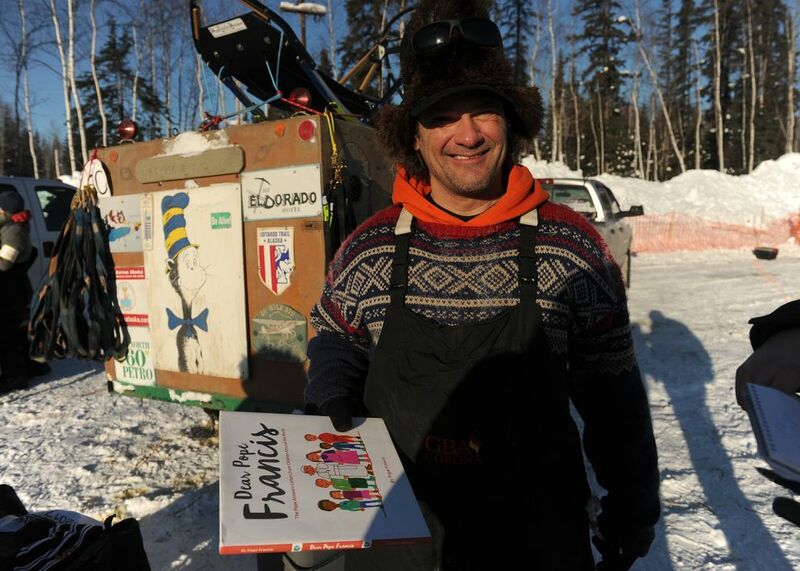 Alan Eischens of Wasilla races to bring awareness to pediatric diseases. He has the ashes from a baby who died of kidney disease at 3 days old and is carrying them at the request of the baby's mother. He also has the ashes of an aunt who used to live on St. Lawrence Island and ashes of the aunt's husband. "I've got three passengers I'm taking this year," he said. He keeps the ashes in his pockets, double bagging each in Ziploc bags, he said. Justin Stielstra of Michigan is carrying his grandfather's ashes in his sled, held in an urn surrounded by bubble wrap. He plans to scatter them, "wherever (it) is really beautiful." "He was always outside. If he wasn't outside, he wasn't all too happy," Stielstra said. For the past 11 years, Hugh Neff of Tok has brought a book with him to Nome to donate to the library. This year, the elementary school he attended growing up in Chicago donated a book for his journey: "Dear Pope Francis: The Pope Answers Letters from Children Around the World." "Every year it's a different book," Neff said. "I just try to promote reading for the kids." 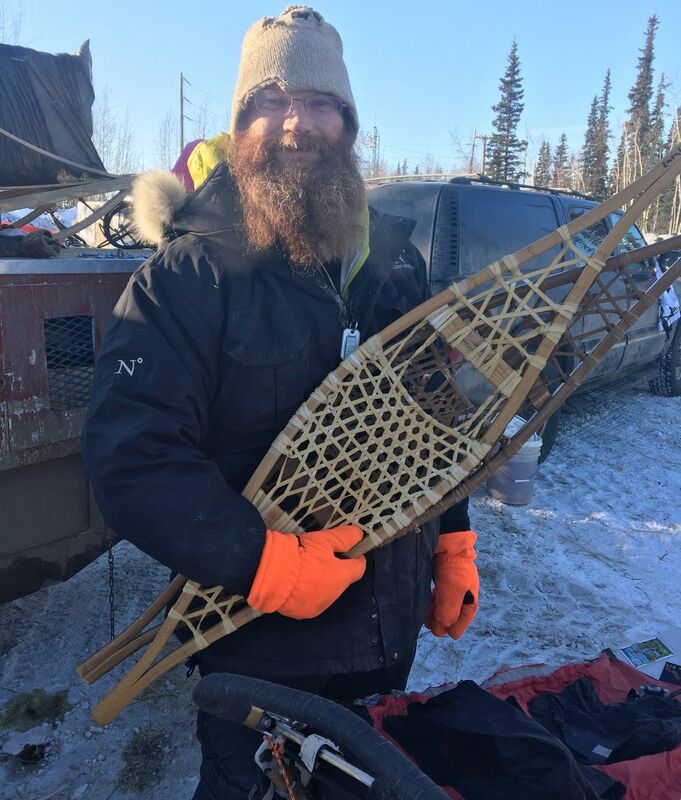 Trent Herbst, a fourth grade teacher from Idaho, brought two hand-crafted snowshoes created by his students. He planned to give one to a snowshoe craftsman in Ruby and another to a craftsman in Huslia. Each of his students built their own snowshoes this year. In the past, they've helped him build his sled. "I'm a big believer in hands-on, experiential education," Herbst said. "In the digital age, kids aren't being taught to make things with their hands and I think something is being lost." Larry Daugherty of Eagle River has prayer flags hung from the sides of his sled. The radiation oncologist collected them in honor of his patients who underwent cancer treatment. He plans to bring them to Nome and then up Mount Everest.